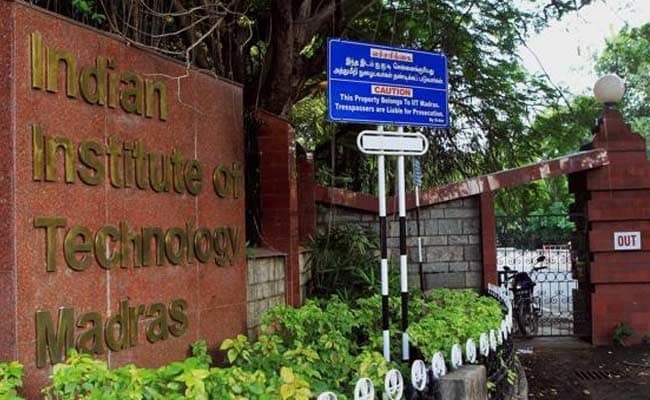 CHENNAI: Indian Institute of Technology (IIT) Madras is initiating an alliance called ‘Digital Wellbeing Alliance’ to deploy digital technologies with the objective of making Chennai the ‘Digital Wellbeing Capital’ of the World. The Alliance was inaugurated today, Wednesday, July 4, 2018, at IIT Madras by Dr. Ram D. Sriram, a renowned AI and healthcare expert and is currently the chief of the Software and Systems Division, Information Technology Laboratory, at the National Institute of Standards and Technology (NIST), US federal government. The stakeholders of this Alliance would be Academic Institutions such as all the IITs, Health technology companies, medical device makers, digital health players, medical institutions, corporate firms, Government bodies such as NITI Aayog and Certifying/Regulating Agencies. The ‘Global Alliance’ is an initiative of IIT Madras along with Industrial partners, hospitals, and global thought leaders. This Alliance is intended to improve quality of life for healthcare providers and seekers; and to leverage India’s strength to enhance global health and wellness care. The Wellbeing Paradigm will determine India’s Gross domestic product (GDP) in the future. Wellbeing of a community, beyond eating healthy food and exercises, will be determined by many other factors. This Alliance would work to foster market-driven innovation, to enhance skill development, to protect intellectual property and develop best-in-class manufacturing infrastructure, spawn new products and services around Industry 4.0. This alliance enables cooperation of all stakeholders through blockchain for setting policy, standards and regulatory framework. The focus would be on Culture of Wellbeing, Interoperability, Data privacy, Cyber security, Policy, Consumer engagement and Evidence and Evaluation. The Alliance will be a great platform to drive the global penetration for the thriving health tech start-up community.